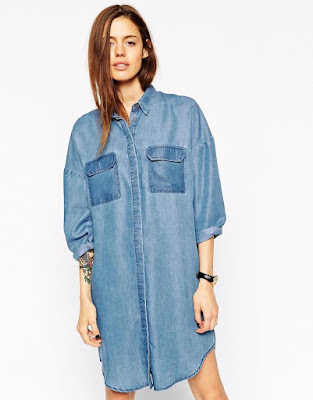 I love simple outfits and one of my all time favourite pieces is a denim shirt dress! 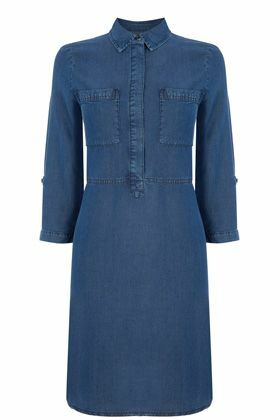 They are so versatile as being denim they’re suitable for all seasons, just add extra layers when needed and still have a fabulous outfit. They are also a good workwear option dressed up with heels and statement bag. I took advantage of the 20% discount at M&S over the weekend and purchased the one above for A/W. 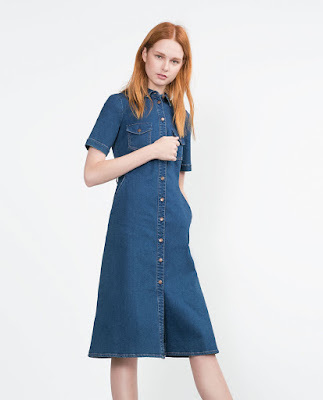 I think this will look great worn now with my mules or sandals and later on with tights and ankle boots:) You can also switch out the belt to other colours to change it up a bit more. Love this idea here of adding a stripe top as an extra layer and the tan belt also looks great! 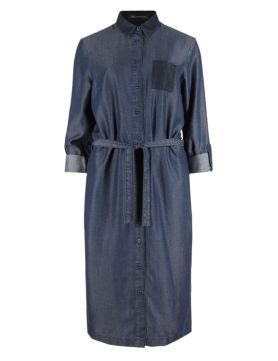 This one from Hush had also caught my eye but my size was gone! It is still on sale and there was a few size 10 and 14 left this morning when I checked. I love the styling here with the clutch and ankle boots- a great tran-seasonal look for the month ahead. Previous Post A lovely Dublin weekend! Next Post On to Autumn!